Before the fame of "High School Musical" East High was already considered one of the most noteworthy schools in Utah. One cannot travel anywhere in Utah and not meet someone who went to or had a relative who went to or who knows someone who graduated from East High. One reason for this, is that East is celebrating its 100th year as the school on the hill in the center of Salt Lake City. 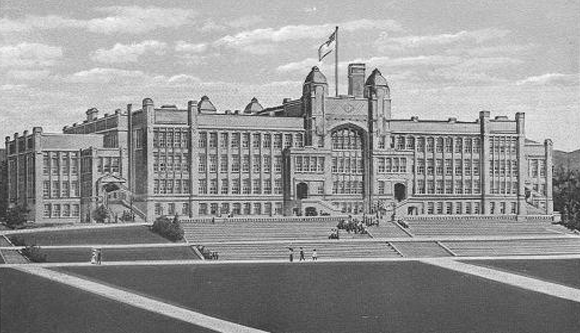 The pre-history of East High School is intimately linked to the opening of Salt Lake High school in 1890. Class began at Salt Lake High in the fourteenth Ward Building with 21 students. In 1893, Salt Lake High School graduated 6 girls and 4 boys in the first public school commencement exercise of Salt Lake. By 1900 there were 675 students attending Salt Lake High and by 1912 the need for a new high school became evident. A site was chosen on the East bench of Salt Lake City and the cornerstone was laid for Salt lake High School –East on September 14, 1912. The building was completed in 1914. It was a state of the art structure and cost $700,000 to construct. East Side High and West Side High as they were known were organized to be one school with two campuses. They shared a common student newspaper and yearbook. Both were called the "The Red and Black." East's colors were red and black; West's were black and red. East's mascot was a leopard; West's mascot the panther. This relationship continued until 1922 when the first Eastonia yearbook was published. East's newspaper name was changed to the Leopard in 1950 and the next year the school colors were changed to red and white. As time went on the need for a new gymnasium became evident. The gym was completed in 1952 and a Science and Technology building was added in 1964. On the morning of May 16, 1972, East High had its most devastating moment when a fire broke out in the main building virtually gutting the entire interior. 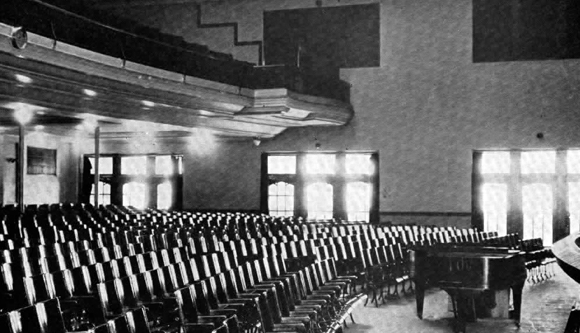 The decision was made in 1973 to rebuild the school adding a new Library Learning Center where the old auditorium had been. Then in 1975 the Bradford-Bowman Auditorium was added to the southeast corner of East and in 1980 the northeast corner became the home of the Mickey Oswald Fieldhouse. As the demographics of Salt Lake City changed in the eighties the Board of Education made the decision to close South High and realign district boundaries. In 1988 the East High boundaries were changed to run from east to west including the neighborhood of Glendale. East High embraced many new students of different cultures. At this same time Earthquake awareness increased and seismic studies determined the Salt Lake Schools were at risk. 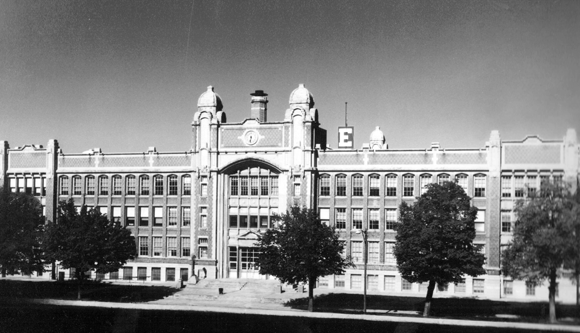 Because East was declared impossible to retrofit, plans were made to build a new high school beginning in 1994. The building was built 15 feet behind the original and took two years to complete. The old building was demolished in the summer of 1996 and two three story flanks were added linking the new building to the Fieldhouse and the auditorium. Over the years many people have worked to brighten East's halls with art and culture. In 1925 Alice E. Rowe, the assistant principal purchased artwork in Italy for East. The most notable are the statues of Diana and Hebe which are in the main office today. 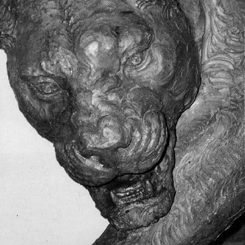 Avard Fairbanks a noted Utah sculptor was commissioned to sculpt the Leopard statue as a gift from the class of 1967. It stands in the Main Hall today. When South High closed a number of beautiful paintings were placed at East. These paintings were works by many famous Utah artists and hang in the library and offices around the building. Principal Pliley felt that the new building was quite stark so he added framed prints to the halls. These prints are both educational and aesthetically pleasing. Finally, a work in process are the two murals painted by students on the walls by the field house and the A floor commons. These murals are the work of current students under the direction of the Art Department. 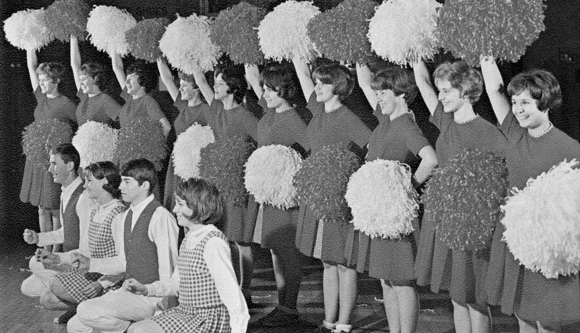 Our Fine Arts department continues many of the traditions started through the years. One such tradition is the Winter Musicale held the second Sunday of December. The finale is complete when returning Alumni come forward and join a'Cappella in singing the Hallelujah Chorus. Today as always East High School offers a comprehensive education for all students through academic and extracurricular activities. We challenge students to achieve excellence through a broad range of options and activities which match the skills and interests of our diverse student population.